Nail care products can be found easily but these should be selected very carefully because nails are vulnerable to fungus, damages and cracks, discoloration and yellowing. To prevent this or avoid these situations you have to be sure that the nail polish, nail care applications that you have been using so far are non-damaging. Mostly, the gel nail polishes, anti-fungus application, base and top coats, and acrylic nail powders are best for the nails if they are indicated as the nail friendly or pro-health products. O.P.I gel nail polish comes with rich color, proper nail coverage, and smooth application to protect nails from getting damaged. This rich red color O.P.I nail gel is one of the Pro-health collection gel nail polishes that promise to protect the nail from getting damaged with the strong mirror finish nail polish coat on the surface. It promotes nail strength and health while assuring no fungus will be affecting and will also help in reducing and prevention of nail discoloration. He nail stay protected within the polish coat from getting chipped or cracked. The Pro-health series match all needs for healthy nail condition and nail growth necessary to keep them safe. O.P.I natural nail polish is one natural solution with no harmful components in it. This nail polish is meant to cover the nails with safe natural coating products that spread on the nail in a smooth way so that it covers and repairs ridges. It helps prevents ridges, cracks and chipping issues, as well as the discoloration, is avoided. The nail coat act as the strengthener and help nails grow stronger by avoiding cracks and damages. The thin coat applied on the nails help in preventing damages done by the harmful components as well. Applying the natural nail polish means you will be keeping the nails safe from the harmful substances like toluene and formaldehyde. 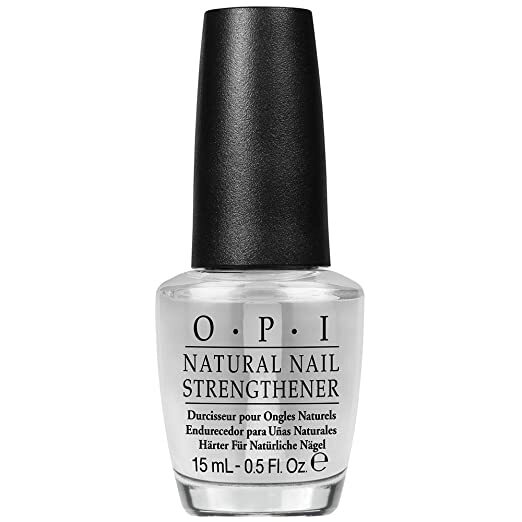 This acts as a nail booster and strengtheners as well as strong base coat to apply O.P.I nail lacquer. Another O.P.I gel color nail polish that comes in a soft and natural color that matches the needs of most of the professional ladies and women of all ages. The soft color gives a natural look whereas the smooth gel-like application assures easy application and full coverage of the nail. It creates a protective coat on the nail for providing color, without damaging the nail. The coat keeps the nail undamaged, protected against chipping and tearing. It also helps to keep the other nail issues away from the nails so that they grow stronger and better without harming its base. The use of healthy nail gel polishes makes sure they are protected for a longer time and keep them safe from all hazards and brittleness caused due to ordinary nail polishes. Essie offers cuticle care product that assures protective coat with a delicate color and essence to keep the nails away from common damages and issues. The cuticle care nail provides strength and protection on the nail that is subjected to damaging factors. It covers, seals and protects the nail top with the substances that are free from harmful components and keep the nails away from further issues. With this cuticle protection, the nails stay away from peeling, damages, and ridges on the nail surface. It also helps in providing a smoother and shinier surface for the application of nail polishes. For professional nails finish. Most of the salon make sure they apply the best gel nail base coat, gel nail polish and top coat for covering and sealing the nail perfectly with a glossy shine over it. This makes sure that the nails stay damage free and protected from the issues like discoloration and ridges. In addition to that when nails are covered, protected the cuticle is protected against weakening substances with the help of KIA DIP NOURISH cuticle oil. This ensures the nails stay safe and strong and grow strengthened. The nourishing oil makes sure the cuticle grows stronger and stays free from possible damages and weakening agents. 44 OPI 3 in 1 nail care combo is a full-fledged OPI solution for brittle and damaged nails. If you have got the damaged nails that need to be cured and protected against damages while adding beautiful color on them, this 3 in 1 gel nail kit is perfect for use. 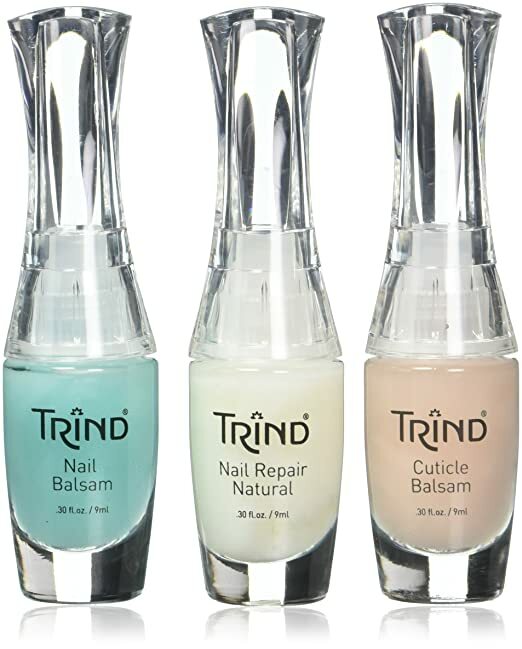 This nail care combo includes the gel nail polish, nail lacquer and dipping powder for perfectly finished nails with mirror shine and smooth application that transforms the nails effortlessly and make sure they seem flawless. The gel nail polish protects the nail, the nail lacquer gives extra rich color and the dipping powder gives extra strength and shines with deeper and better color. Sally Hansen Vitamin E nail care and cuticle oil is a protector against nail weakening components. The oil is used for nail care in manicures and nail treatment to stay away from nail damages. Either you have damaged or ridged cuticles or brittle nails, this oil helps in treating the nails perfectly for giving them growth boost and extra shine to make them feel like best ever. Further, when the cuticle is moisturized and softened with the nourishing oil effects, it is even easier to treat nails and manicure the nails properly with no extras behind. The oil provides strength and care for the cuticle and prepares the nails to get along with the gel nail polish application and other nail treatment for nail art without getting harmed. NUGENESIS knows who to give the nails the perfect shine and look that everyone loves to have on their nails. This base gel coat is one for all solution to give the gel nail polish the perfect shine and finish with the best nourishment for the nails. This base gel is one perfect protective base for the gel nail polishes that keep the nails safe from getting chipped or brittle due to harmful; factors. The vitamin E and calcium formula make sure the cuticle and the nail base stays harm free and the nail grows stronger and with greater boost as well. Nailtiques nail protein treatment is a combination of high-quality components. That includes Keratin in hydrolyzed form and protein in combination with a balanced formula of calcium and gelatin that assure soft and delicate handling of the nail so that it is transformed and protected against damages. For brittle and damaged nails the protein formula help in rebinding the layers inside nails giving them smoother and shinier look that seems perfect for giving a healthier look on the nails. It smoothens the nail surface and offers a silkier surface for smooth application of the nails gels and lacquers as well. The unique combination of healthy components that boost healthy nail growth assures to repair and boost soft, brittle and broken nails and keep them groomed for your best nail art combination as well. To maintain a manicure, for perfecting nail health and to get a perfect healthy shiny look on the nails, this kit works perfectly for protecting and curing nails in any condition. The formula is perfect for dried, broken and brittle finger and toenails. The unique combination help in healthy growth of string nails that may not get broken easily. The cuticle balsam assures root care and protection with moisture for the cuticle and the nail balsam help in restoring the nails to give a healthier shine on them. The perfect repair system makes sure the broken and damaged nails are repaired and restored to provide a better shine that prevents damage naturally and make sure to keep the nails stay shiny and smooth. We can conclude that for healthier, shinier nails all we need is careful selection of proper products that not only give a boost for stronger nail growth but also help in repairing the nail that is already damaged. Most of the nail friendly gel nail polishes and top/base coats assure nail health and base protection for better maintenance of the nails. It is also better to use cuticle oils and nail enhancers to assure better protection after manicure and nail treatment procedures. Most of the best nail care product help in boosting the nail health and protects its base form getting affected or damaged so that the nails don’t get dried out or get damaged due to frequent nail treatment procedures.